Unlike the widely written about freakish winter that’s hitting quite a few countries in the northern hemisphere this year, KL is suffering from a heatwave. We on the equator have learned to adapt to the generally high temperatures, but these past few weeks have been almost more than I can bear. So to those friends and readers who are going through this dry and extremely hot season with me, I have this quick and easy recipe that is sure to cool you down on a hot afternoon NOT spent in the air conditioned office. 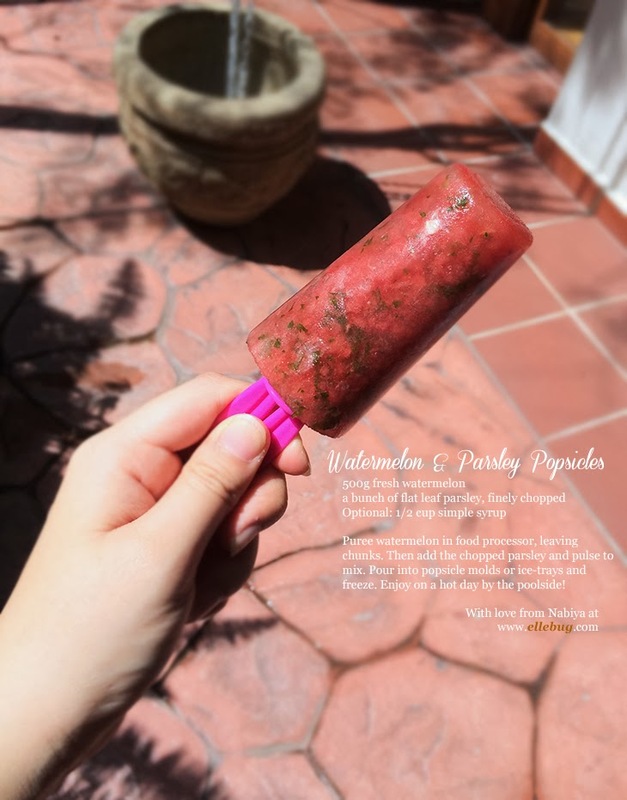 You can substitute the parsley with mint or basil, or leave it out entirely if you don’t want to and just have a watermelon popsicle. A simple syrup, if you feel that your watermelon isn’t sweet enough (though I’ll point out that watermelon tastes sweeter after it’s been frozen) is easy to make. Just boil 1 part caster sugar and 1 part water in a saucepan until the sugar granules have dissolved, let it cool then it’s ready to use. There’s no need for thickening or caramelising. 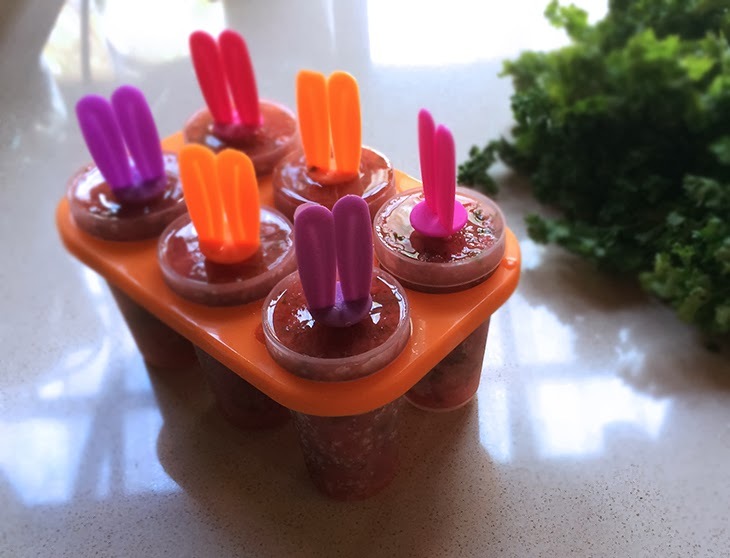 Also, if you don’t have popsicle moulds and don’t feel like wasting money on something you’re likely to never use again and eventually toss out when you do a spring clean in 6 years time… use paper cups and stick a popsicle stick, or spoon in it. Ice trays are perfectly alright too, and would be quite a great way to make flavoured water. Take care friends, whether you’re too hot or too cold… be sure to take extra precautions against the weather. To friends in Malaysia, please drink more water and stop wasting water in and around your houses. A little goes a long way, and in about 15 years or so we’ll wish we had done more to save our natural water resources. I’m not going to bore you with stats you already know… but don’t be surprised if a water-related infographic shows up soon.